I g﻿rew up in a small quaint town called McDonald, Ohio. My town had parades for everything. The Memorial Day Parade would start at the high school with the high school band and end at the park pavilion with veterans shooting rifles into the sky. From the time I was little my mom and I would wait for the parade to march down our street and then we would walk the few blocks to the park and listen to the rifles and then walk back home again. My mom would tell my dad which veterans marched and they would chat for a bit about them and that was that. I am almost positive that there was a parade in McDonald, Ohio today. The high school band and some scouts and some veterans. And of course the rifles shooting into the sky at the park. 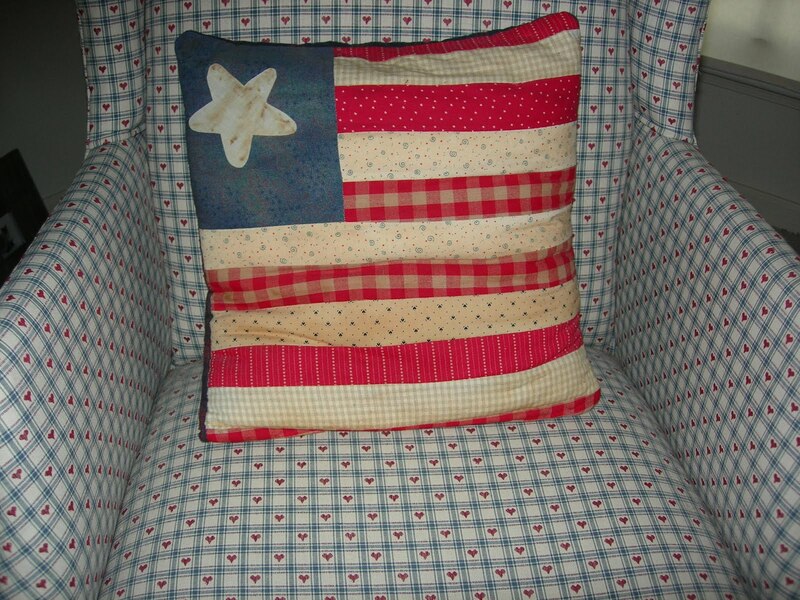 I made the flag pillow…it is one of my favorite things. I have a bit of a flag collection in my living room…not overwhelming…just some neat flag collectibles. Kirkus Book Reviews At BEA!! !